R-VALUE PROJECTS: From Alaska to the Gulf Coast, we get the job done, on time, and in budget. There were a lot of challenges on this job and they all were very dangerous. Most of this job was winch work, meaning you are hanging off a mountain by 3 or 4 dozers to get up and down ROW. Also, we were only given 75’ of ROW, which means we had to dig and install the 20” line and cover up and then go back and do the same for the 16” pipe, forcing us to have to tackle these huge mountains twice. This job was also going through a state forest presenting other challenges. You have to not only do your job, but also watch out for civilians trying to enjoy this state land. It can also bring upon protestors and/or people who are willing to try and harm you and/or your equipment during the non-working hours (evenings or weekends). These two jobs were not too bad when it comes to the mountains. They were mostly rolling hills and farm land, but this also brings a new set of challenges to the table. I think the biggest challenge was going through subdivisions and housing projects. The homeowners did not want to see their yards all tore up and they certainly did not want to hear all of the noise, so close to their homes, that construction projects like these bring. We had set hours that we could work in order to avoid these obstacles. Another factor were the Amish. While people may not think that the Amish would pose a problem, it did. You always had to be on the lookout for buggies and kids on bikes. With narrow roads, it was a huge safety concern for us moving big equipment and was able to do this without incident. The biggest challenge on this project was dealing with all of the protestors. 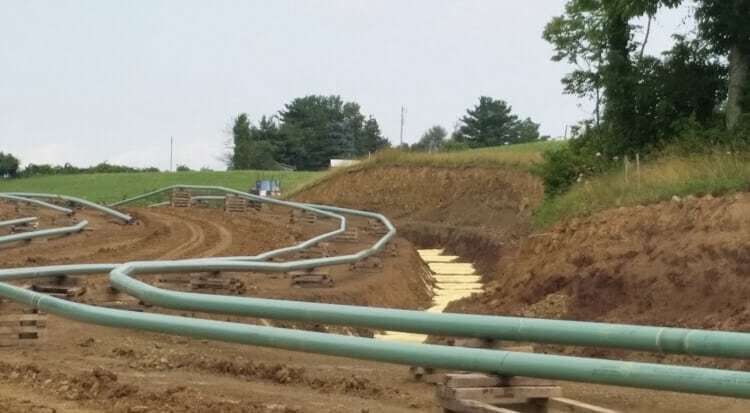 There usually are on some of the jobs, but this one was unique in the sense that the Native Americans, along with many others, setup camp for thousands of people in an effort to try to stop the pipeline completely. 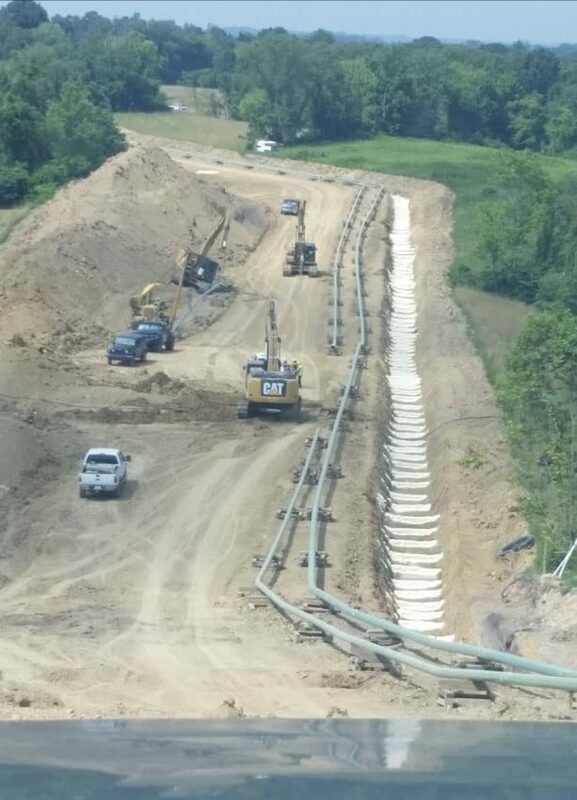 Dealing with people destroying your property and threatening the lives of the pipeline workers makes it extremely difficult to do your job. The state of Iowa has a multitude of farms and cattle ranches. Dealing with farmers who are trying grow crops and make a living while you are disturbing their land to put pipeline. The land was so good for growing crops since there was 3’ of topsoil. However, this was a detriment to us since after you put it all back and it rains, you can’t get on it for days, but we keep positive attitudes and the project was a success. 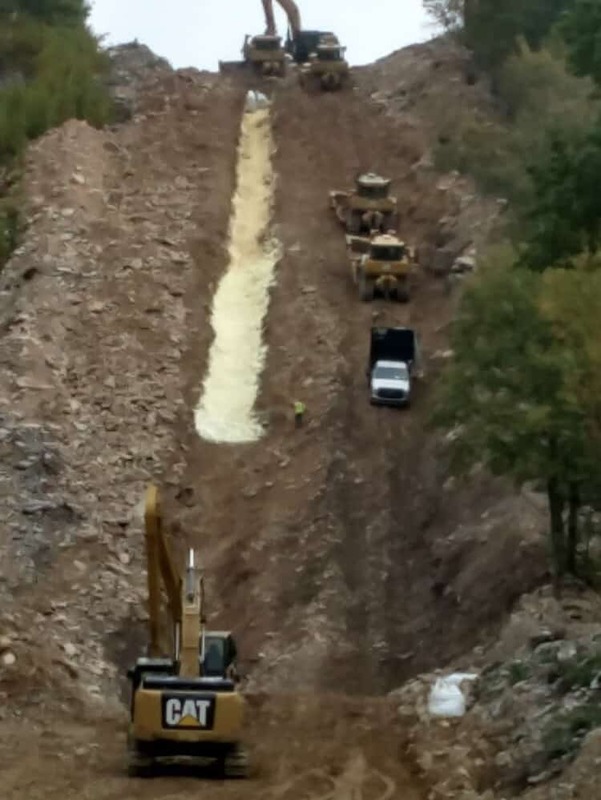 One of our biggest challenges while working this project was that we were working in the state forest, only allowing for one way in and one way out. There were only logging roads to travel on. This takes extra time to get from one tie-in guy to the next. Also, because this job was up in the mountains, it did pose a big safety hazard. We were able to accomplish this with zero accidents. 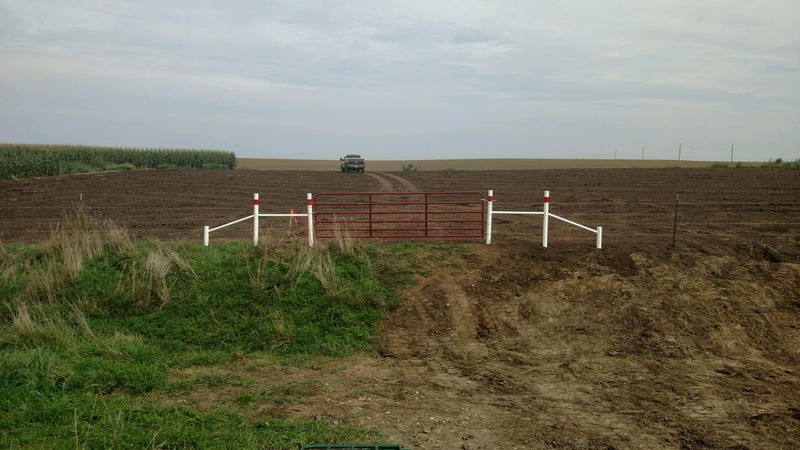 The biggest challenge on this project was working around the high voltage power lines. It is very dangerous. 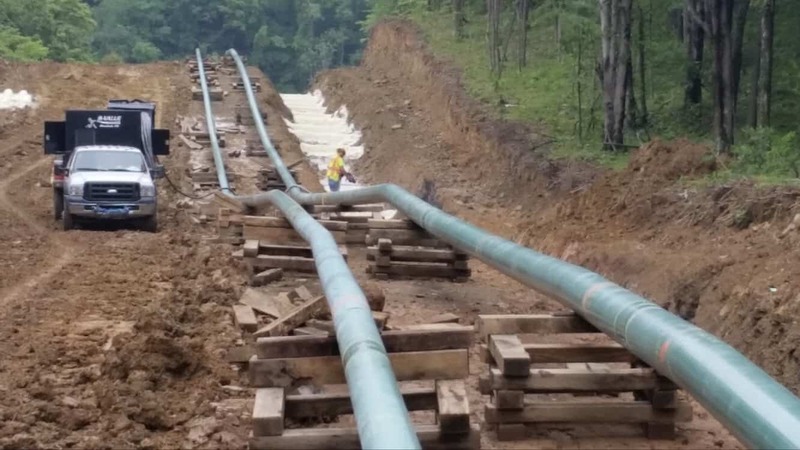 Another challenge we faced was the fact that we were doing a pipeline in a National Refuge. There are so many different rules to protect the animals and environment that it makes it difficult to make any head way. Also the long drive for the warehouse to the ROW was over an hour one way and still was able to maintain the schedule and budget. 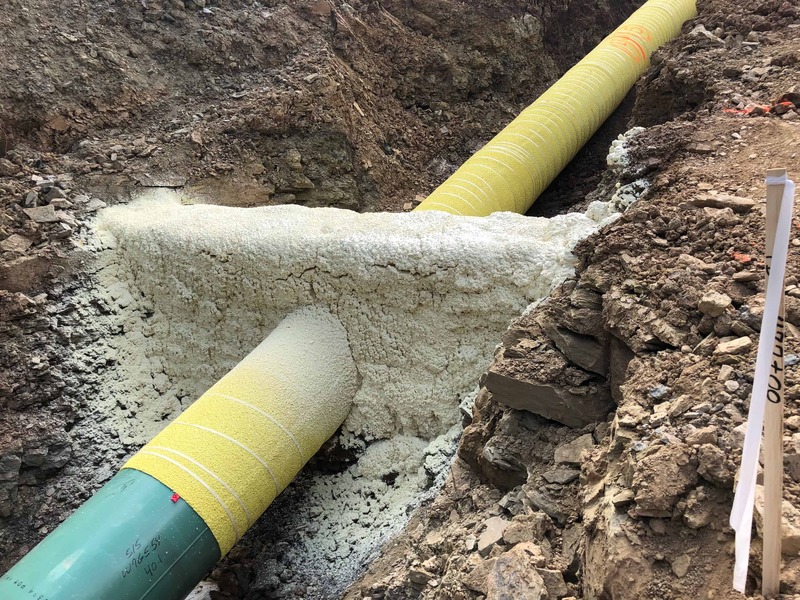 Through the hills and mountains of Pennsylvania on the Appalachian Gateway Project, R-Value took on the job of padding 52 miles of ditch with foam pads and trench breakers. We then went to work restoring 52 miles of ROW using our techniques to hold the hills from sliding or washing away. In 2007 and 2008, the REX East project ran through Pike County Missouri and Illinois. 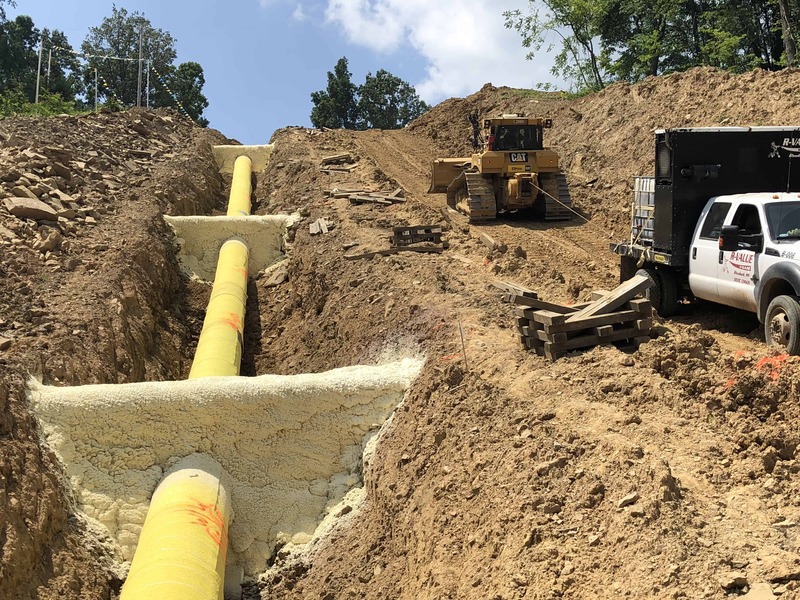 The project consisted of 144 miles of 42″ pipe and was the largest pipeline to be constructed at its time in the hills of Missouri under the Mississippi river and all the way to the farm ground of Illinois. R-value was there with the tools and expertise to get the job done. 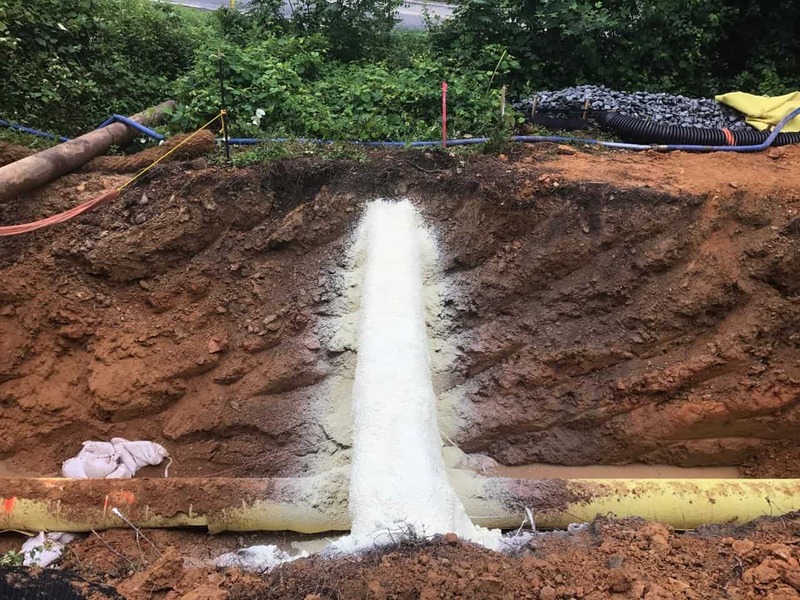 In the gas fields of Williamsport, Pennsylvania R-Value went to work in the mountains by providing padding and foam trench breakers to ease their way through the rock. In spite of the challenges, the project was completed on time and within budget.